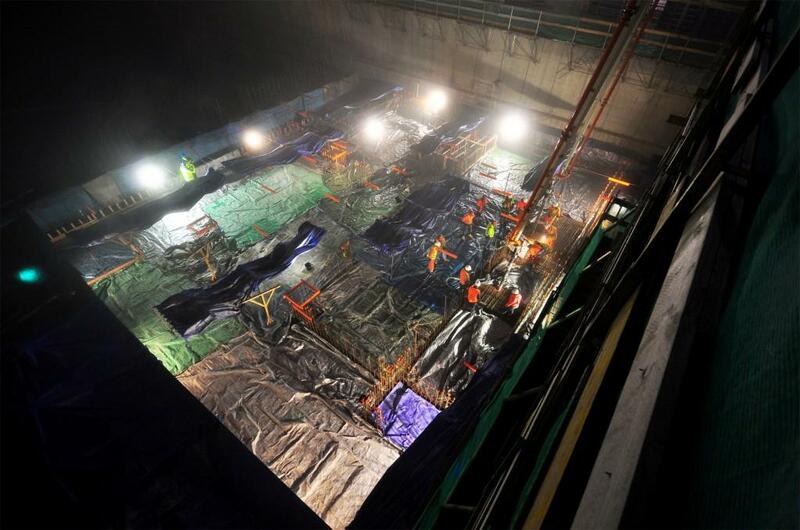 The second (of fifteen) Tokamak Complex basemat segments is poured early on 22 January in the southern corner of the Seismic Pit. Operations begin at 4:00 a.m. and continue for 10 hours. The Tokamak Complex basemat will be a "floating foundation," installed on 493 seismic columns and capable of lateral movement of approximately 10 cm. The Tokamak Pit in April. 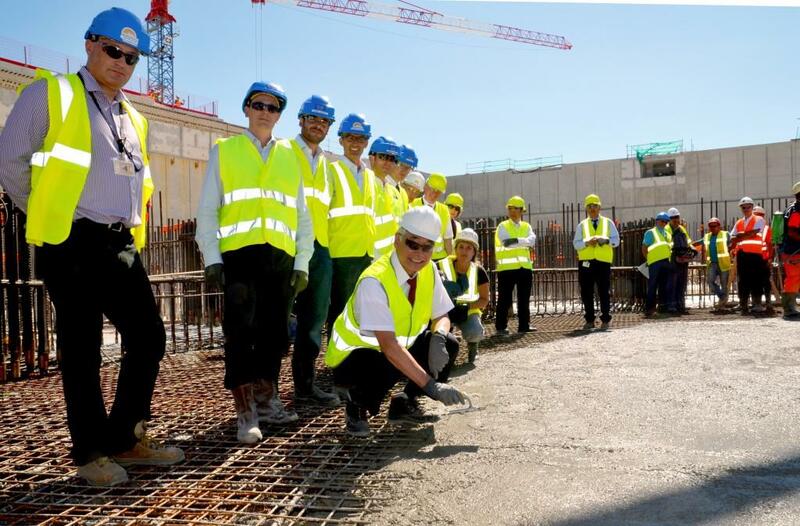 Some 3,600 metric tons of steel rebar will be installed to reinforce the floor of the Tokamak Complex, designed to support 400,000 tonnes of building, machinery and equipment. On 27 August, a gathering takes place in the Tokamak Pit to celebrate the completion of the "Final Pour." 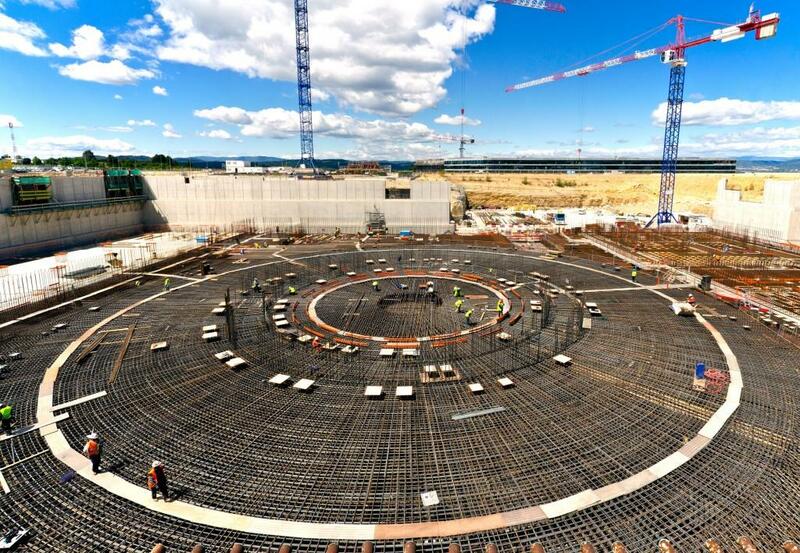 The finalization of the Tokamak Complex basemat (15 segments, 14,000 m³ of concrete, 3,600 tonnes of rebar) required eight months. Hundreds of people contributed to the different aspects of its realization, including design, procurement, scheduling, quality, finance and construction. 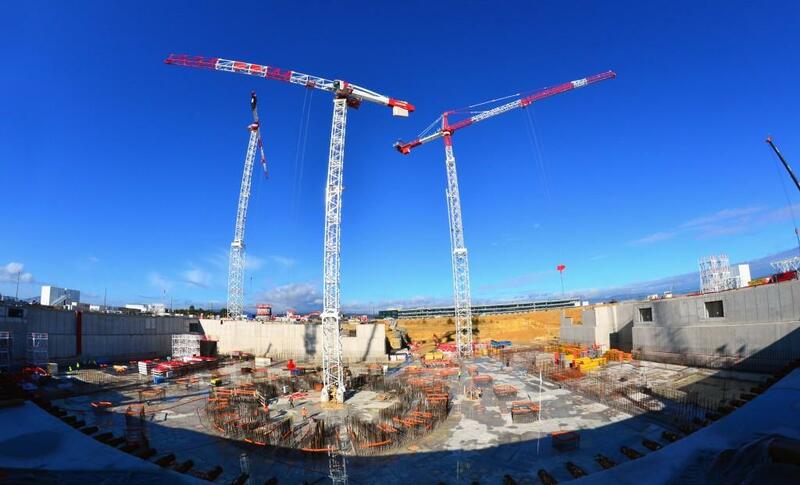 In November, giant cranes are positioned in and around the Tokamak Pit. Three of the five cranes will rise over 75 metres (76 m, 80 m and 82 m) and have lifting capacities of 6-8 tonnes at the tip of their 55- to 65-metre-long booms. The central crane, equipped with a 35-metre boom, will handle loads of up to 9 tonnes.